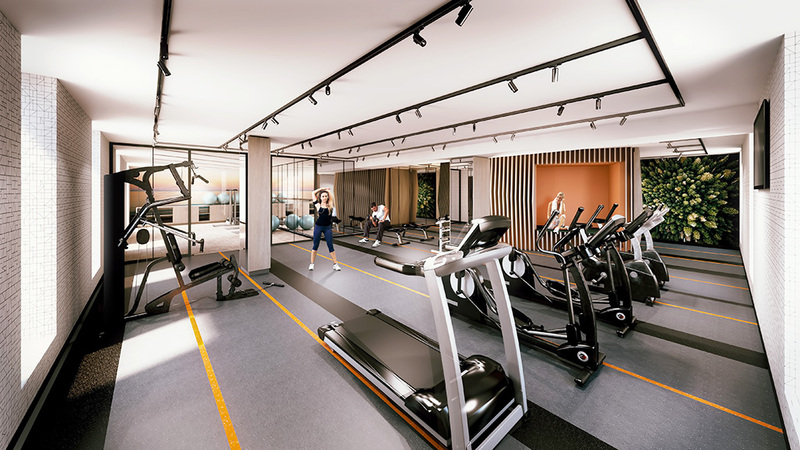 This fully equipped fitness room is an exciting space, complete with a one-of-a-kind architectural element, that incorporates drinking fountains, a rest area and a barrier-free washroom. 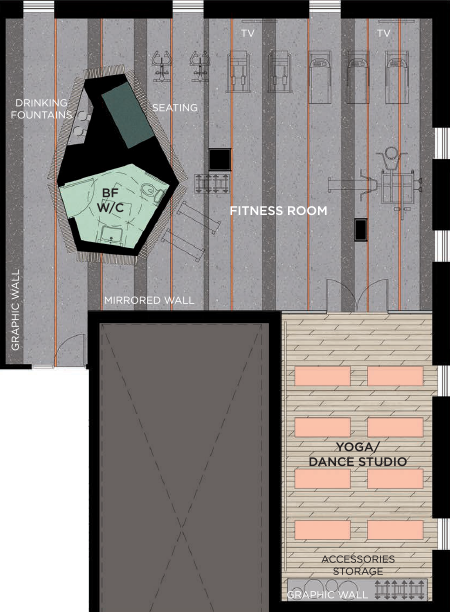 The yoga/dance studio – featuring a floor-to-ceiling mirrored wall and a ballet barre – is located within the fitness room. The studio provides space for a variety of healthy activities and for one-on-one workout sessions with your trainer.